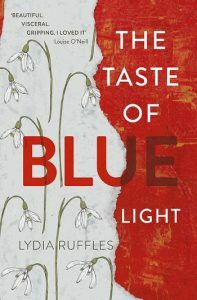 Welcome to Lydia Ruffles, author of The Taste of Blue Light. To me a great book is all about the voice and the impression the story leaves – these are the things I worked hardest on in my own novel, The Taste of Blue Light. Ask me to name my favourites and the answer will depend on the day but here are ten books that have stuck with me, in the order that I discovered them. An anonymous group of boys tell the story of the Lisbon girls, five sisters who die one-by-one by suicide in a fictional town in 1970s’ Michigan. The writing is luminous and captures so many interesting things about myth and memory, longing, gender, and adolescence. I first read this was I was about 13 and rediscovered it at university. I haven’t re-read this novel for years but I will, and I still harbour the ambition of creating an art installation inspired by it one day. 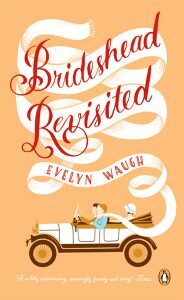 In between cocktail parties and her magazine internship, 19 year-old Esther Greenwood plummets into depression. Scathing and sad, this book means so much to so many people. It perfectly captures the suffocation that comes with knowing you’re talented and privileged but feeling desperate anyway. I possess a moderate nine copies of The Bell Jar, which I first read at 13, then at 23, and again at 33. I can’t remember if I found this on my mum or my dad’s bookshelf but I picked it up when I was around 14. On the surface, this is a nostalgic tale about the friendship between Oxford classmates Charles Ryder (the narrator) and enchanting, childlike Sebastian Flyte. 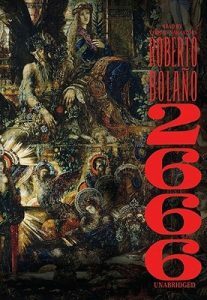 It’s really about social distance, disappearing privilege, Catholicism, alcoholism, sexuality, seduction, exile, and war. There are few things I like more in a book than an examination of high pretentions meeting human fallibility, which this story delivers in spades. Throw in a teddy bear named Aloysius and you’ve got yourself one of my faves. I came to Catcher late – with my first reading in my early twenties – but nobody can say I haven’t committed since. I own 15 copies in seven languages. You don’t need to like adolescent narrator Holden Caulfield; this is the most extraordinary example of voice in literature and I will fight you if you disagree. 65 million copies sold can’t be wrong. An absolute whopper of a book (1,100 pages) about an epidemic of femicides in a violent Mexican city and an elusive German author. I read it in Spanish, which took me approximately 2666 years. 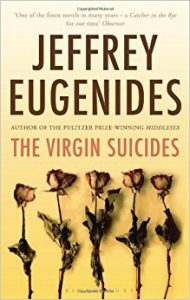 I usually prefer smaller, introspective stories to those with huge scope and labyrinthine plots but this is a fascinating feat of writing. I watch and read a lot of plays – for a writer, they’re great for teaching precision and dialogue. I’m also drawn to art about masculinity and mental health so was moved by this tale of a returning soldier’s struggle with his mental scars and his quest to reconcile with his ex-wife. 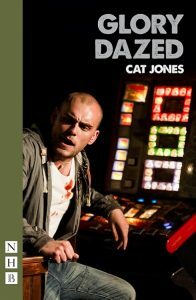 Set in a pub in Doncaster after hours, Glory Dazed is funny, ferocious, and charming – both on and off the page. 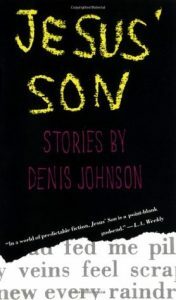 For it’s cubist, hallucinatory, violent, tender, neon glory, this collection of short stories about alienation and addiction in 1990s’ America belongs up there with the best. There is a particular image involving rabbits and a road trip that I will never forget. Jesus’ Son is a sad little masterpiece. RIP Denis. The late Oliver Sacks’ non-fiction writing made me less afraid of my own brain. His is a reassuring, curious voice. I recommend any and all of his books, which teem with accounts of his patients, their brains, and the weird things they do. This one – Migraine – is a complex, emotional read about a neurological condition that’s been making me and my brain do weird things since 2010. 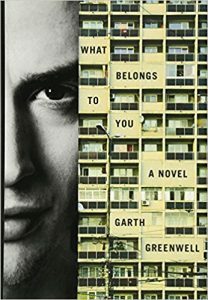 A recent read which documents three phases in a love affair between an American teacher and a Bulgarian hustler. It’s brutal, daring, full of desire. The middle section is an absolute flood of emotion. This book felt radical to me and opened my mind to different ways of thinking about human connections – particularly queer relationships – and the spaces where they happen. Desperate to uncover the truth, Lux’s time is running out. If she cannot piece together the events of the summer and regain control of her fractured mind, she will be taken away from everything and everyone she holds dear. If her dreams don’t swallow her first. Lydia Ruffles was educated at seven schools, three universities, three drama schools, three language schools, two professional institutes, two online schools, one creative writing academy, and in countless corners of the internet. She has travelled in about 50 countries, written lyrics for around 50 songs, and failed approximately 50 driving tests. She’s moved house over 25 times, been an insomniac since she was two, once spent a year in bed, and eaten meat zero times. The Taste of Blue Light is Lydia’s first novel; she’s editing her second and planning more.